Actor Who Played Satan Scoffs At Obama Comparison : The Two-Way Mehdi Ouazzani is happy to have found some fame for his role as the devil in The History Channel's "The Bible" miniseries. But he laughs at insinuations that his character was made to look like the U.S. president. 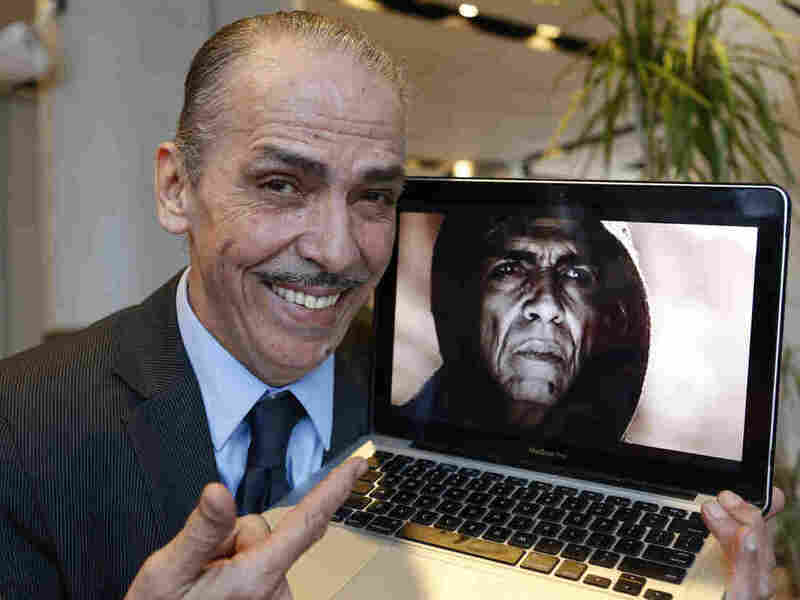 "It's nonsense," Moroccan actor Mehdi Ouazzani says of the fuss created by some conservative TV talkers who think Ouazzani was made to look as much like President Obama as he did Satan in The History Channel miniseries "The Bible." "For someone like me, a simple unknown actor, to find himself in a controversy like this — even though it's nonsense — it makes me known around the world, so it's something positive,"
In case you've missed this controversy, it began soon after the five-part miniseries went on the air in March. After seeing Ouazzani in character, conservative talk show host Glenn Beck was quick to tweet "Does Satan look EXACTLY like Obama? Yes!" The AP adds that "television personalities Bill O'Reilly and Sean Hannity were still talking about it weeks later on their shows, with Hannity telling 'The Bible' executive producer Roma Downey that he, too, thought the program's Satan resembled Obama." The implication was that the producers were trying to send some sort of political message. For the record, Downey and her husband Mark Burnett, who co-produced the series, have said they have "nothing but respect and love our president, who is a fellow Christian." The History Channel has called comparing the Satan character and Obama a "false connection." As for Ouazzani, the AP points out that "with gray hair pulled back in a ponytail, an expressive face and a slim Errol Flynn-style pencil mustache, Ouazzani doesn't look a great deal like America's 44th president — but then he doesn't resemble a stereotypical Satan very much either. It was only after an hour and a half of makeup and a heavy hooded robe in Morocco's blazing desert that Ouazzani became the figure on a mountain top tempting Jesus." The actor is hoping his newfound fame will lead to bigger roles and perhaps a chance to meet the president. "Some good has come out of this," he told the AP. "Before, I knew who Obama was, and now he knows me, and if he has time I'd like to invite him and his family for couscous in Morocco."